Manulife Financial is one of the most dynamic and progressive financial organizations in the world today with a history of financial stability that spans more than a century. 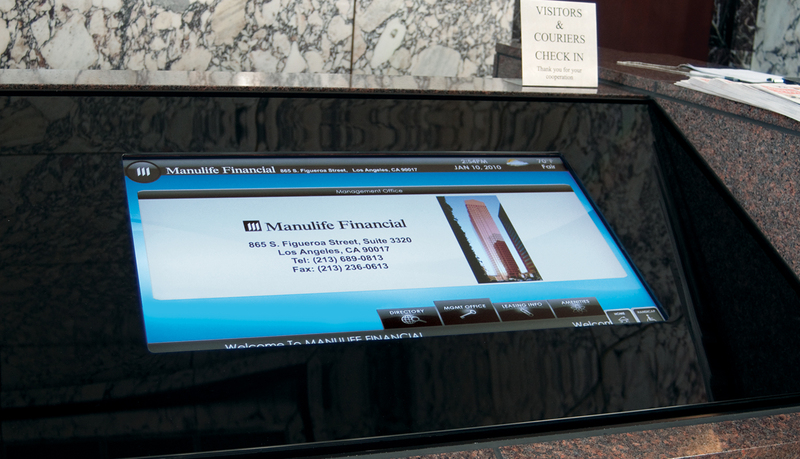 Manulife’s Los Angeles location is a 37-story Class-A office tower with multiple interactive digital directories that make a great first impression to visitors entering the building. 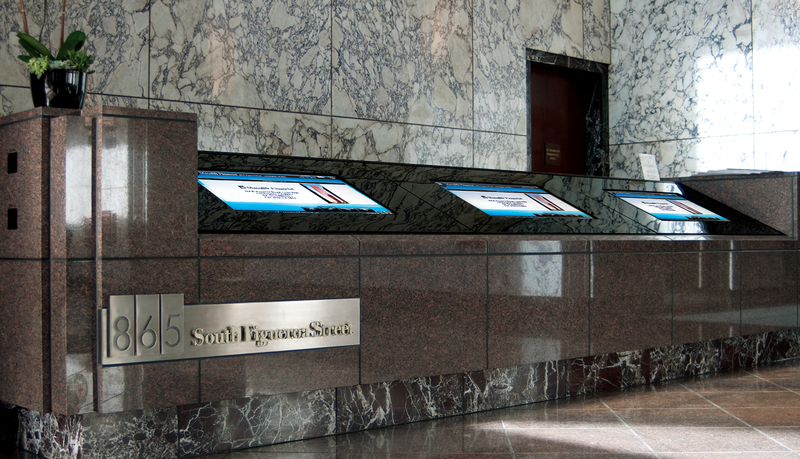 Manulife’s previous lobby directory consisted of three black-strip insert cabinets, which were out of date, messy and time-consuming to update, and no longer functioned as an effective information resource for visitors and staff. 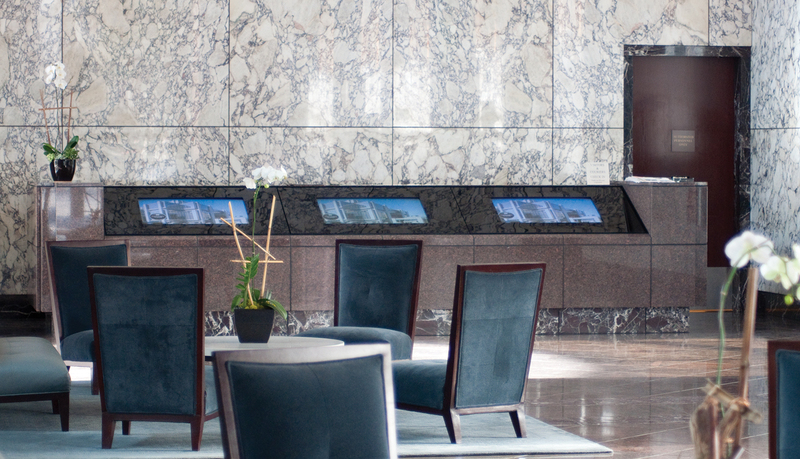 To upgrade the directories, Manulife’s property manager turned to ASI to survey the lobby area and provide a consultative solution that would work with the existing architectural environment, reduce traffic congestion in the lobby, and improve information delivery. 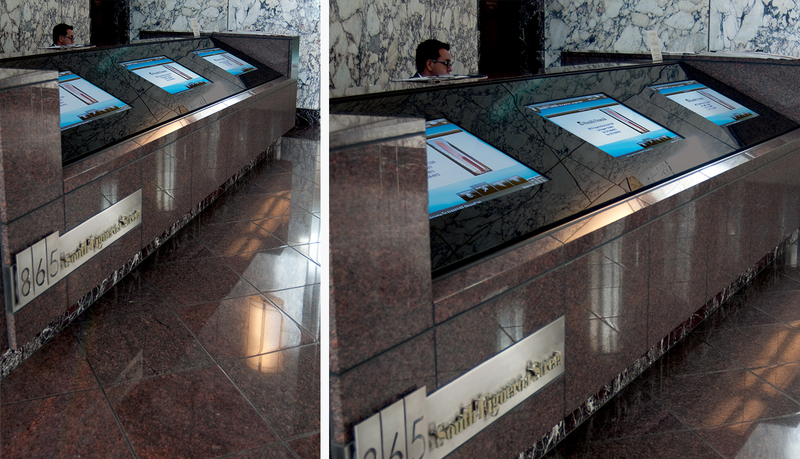 At the conclusion of the survey, ASI proposed three 40” interactive touch screen displays with black tempered glass surrounds to be mounted into the lobby’s existing Red Eagle granite console. 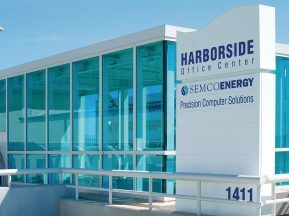 ASI delivered the trio of interactive displays turn-key by also managing the glass supplier as well as the electrician to ensure the new digital directories were installed seamlessly. 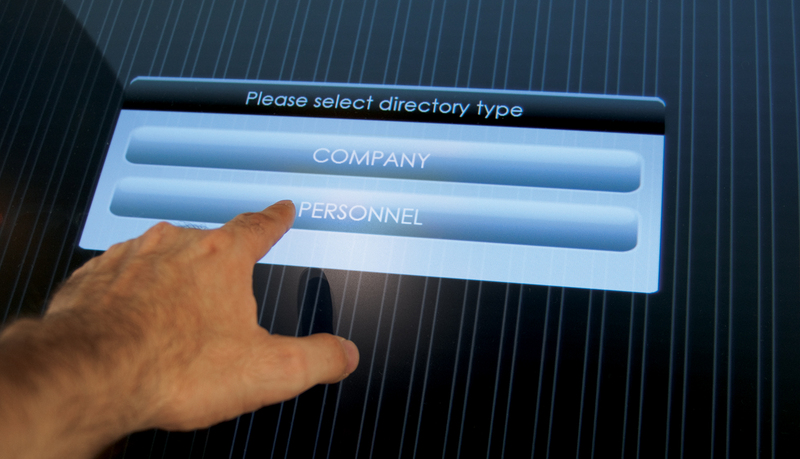 ASI created an interactive interface that allows visitors and staff to search the tenant directory by company or employee name simply by touching the screen. 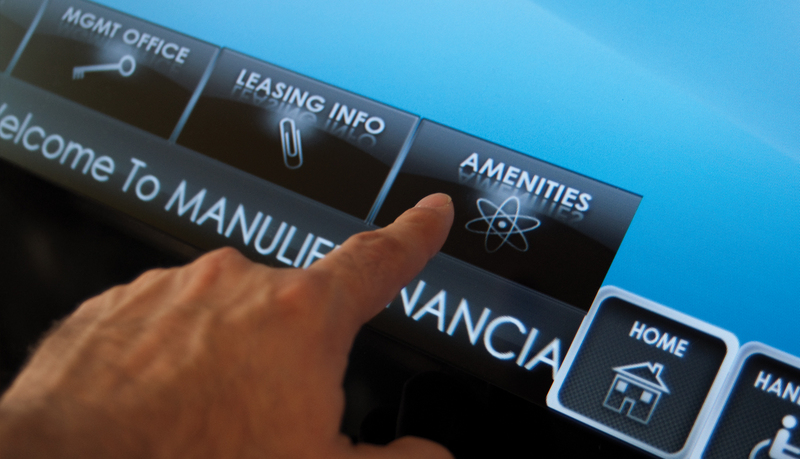 ASI’s interface allows searches for building management contact information, leasing opportunities, as well as information on on-site amenities such as restaurants, shops, and sundries. 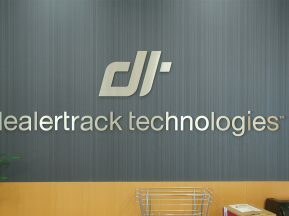 In addition, real-time information such as date, time and weather are always displayed. ASI’s digital solution ensures that the content and functionality are scalable to grow with Manulife’s needs. 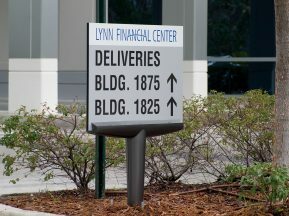 ASI’s web-based content management platform allows for easy screen updates, enabling any of the directories to be transformed into an advertising or promotional display if needed. 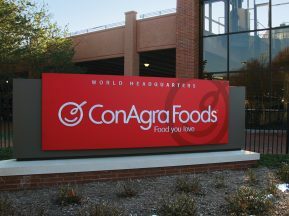 Having worked with ASI at a previous property, it was easy to again select ASI to ensure a seamless process from pre-planning through installation. The ASI interactive directories are beautiful, fit perfectly with our Class-A trophy property image, and better yet, the tenants love their new ‘toy’!